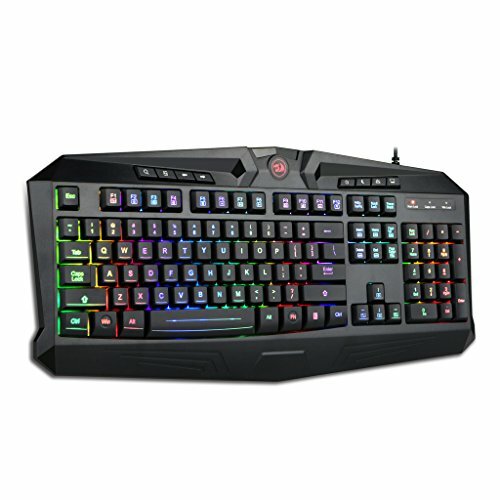 Nice looking keyboard for the price. Nothing special with the functionality. 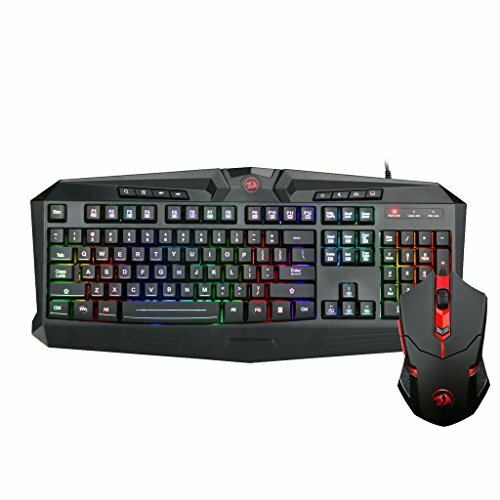 The mouse could be better, but it's fine considering the price. 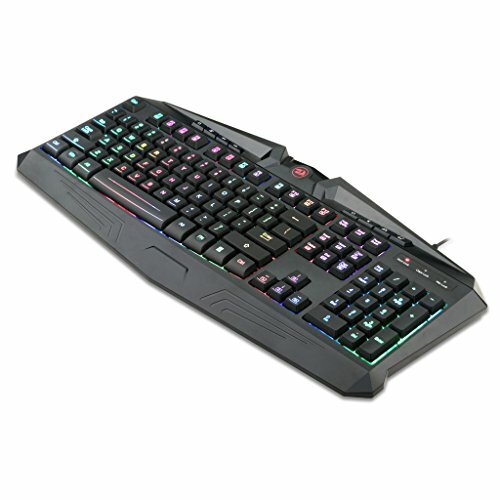 The mouse is only 2000dpi, but its quick enough for 1080. The lighting is not adjustable and a bit bright. They are, however, very affordable and function as well or better than expected. from completed build My First Build - "Bluie"
Mouse is amazing! However, the keyboard does feel mushy at times, especially the Enter key. Surprisingly good build quality for the price! Looks great and feels much better than the crappy Gateway keyboard and mouse I was using before. 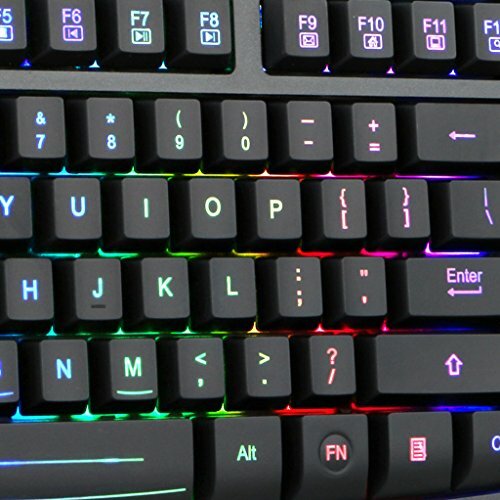 It is a membrane keyboard without backlighting, but I guess you get what you pay for. 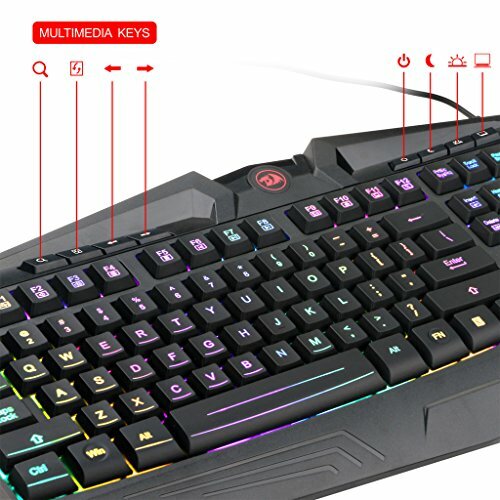 One of the best budget gaming keyboard/mouse combos out there! Also given to me by a friend as a present, as I had no keyboard at all. He moved on to a mechanical one and this one was laying around collecting dust. I find this keyboard to be very comfortable. It is light and sturdy. Sits nicely on my lap (I play from a couch because I am a slob). The red LEDs look nice but don't serve any utilitarian purpose, besides, perhaps, helping to find the keyboard in utter darkness. I like the feel of the keys and the sound it makes when typing. I am going to use it 'til it dies. The mouse is great. I never had a proper gaming mouse before, with its speed and precision it blows out a cheap optical Dell mouse I use at work out of the water. Extra buttons are easy to reach and feel good: not too stiff and not too soft. I find it comfortable to use and my wrist is happy even after hours of intense gaming. It's hard to go wrong with this combo for 30 bucks. Paying more for a membrane keyboard I just find to be ridiculous, might as well get a mechanical one. Budget, but good for the money. The mouse is actually fairly good, and held up through a year of constant use with my laptop. I'd say it performs great for the price (not very different from my new $30 mouse). I then built my first PC, and ditched the mouse, but started using the keyboard. The keyboard LEDs are kinda broken, but the board works with full functionality other than that. Its definitely a budget keyboard, but not bad either. Probably won't replace it for another year or two. Overall, IF YOU ARE ON A BUDGET, BUY THIS. Keyboard is pretty clicky and nasty, but the mouse is nice. Got this for $17 on a lightning deal randomly on Amazon. Nice ease of use and at a excellent bargain. Keyboard looks amazing and works real well for not being mechanical. Unfortunately the mouse is a bit small and the right click button is hard to press and catches a lot. EDIT: After a little under a month of use, the space bar has started to make a very high pitches squeak every time it is pressed. Not necessarily a problem but kind of annoying. Also the 0 key on the num pad is unusually soft and feels very different from the other keys like it's harder to press. Thankfully you don't use it too often.